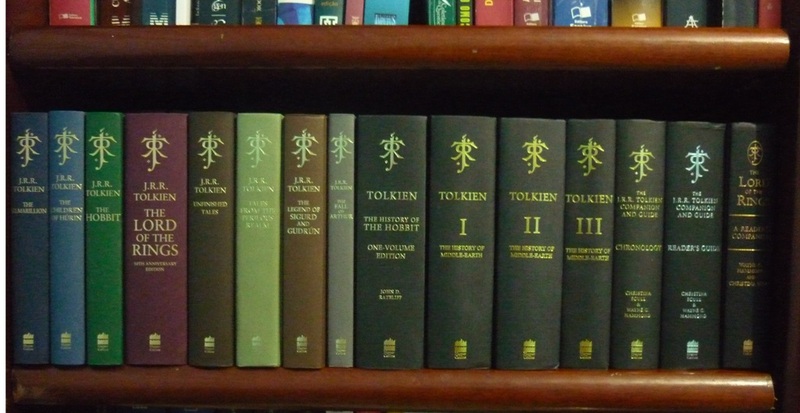 TolkienGuide.com - Deluxe edition Harpercollins completed collection? Deluxe edition Harpercollins completed collection? After the release of Unfinished Tales,HarperCollins publisher will release another book of this collection? I cant thing what they would release next? But I was wondering if anyone here has more information or contact with publisher for more information. I can ask, I will let you know when I hear anything back. Quite honestly, I think they should call it a day. It is a nice series, but the production quality of the later volumes is far below the quality of the earlier volumes (although to be fair the price has remained the same). If they released another volume and the slipcase sides continued the trend of shrinking, they would have to be zero size (which would be quite a trick). I'd pay a bit more for something that sat between the absurdly expensive SD editions and the current not-quite-deluxe editions. Would be good to know the print-run size for Unfinished Tales. I think we have it for all the other volumes. Yes, they are likely done with the deluxe slipcase editions I have been told. Plans are for a re-release of the Alan Lee one volume LOTR in June, more Pocket editions (Farmer, Tom Bombadil and Smith), a paperback Jemima Catlin Hobbit, and some other less firm (but interesting!) rumors for later in the year and beyond. I will ask for the print run on UT. Ta. I'm guessing at 2,500 (purely for the fun of guessing and being - inevitably - wrong). Did anyone ever get confirmation of the print run for the Deluxe UT? Well, you now have an answer to this question. Beowulf will be the next (last?) deluxe edition. This is great news. I am very excited with this new edition.